Capacity: each can be fried 20L/cylinder,double heads 40L totally. 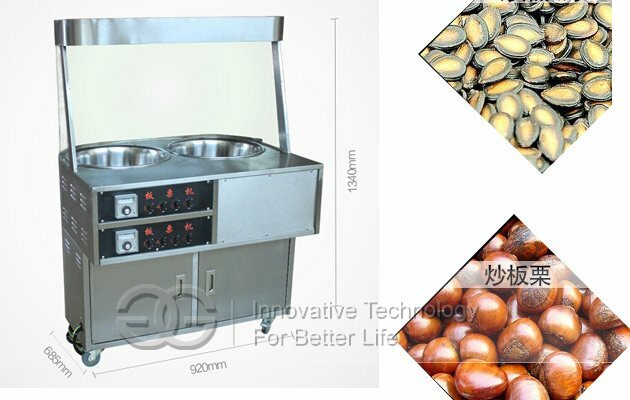 This nut frying machine has single head and double heads two types, electric heating.It is rotary stirring stainless steel bowl frying machine,which can be used to roast chestnut,peanut,walnut,pine nuts,almond, hazelnuts,seeds, beans,sesame etc nuts or seeds.It applies to major shopping malls,supermarkets,food stores,chain stores,residential areas,streets and other densely populated area.Machine volume is 20L/tank,for double heads machine,its volume is 40L totally.Machine has small investment,it is ideal choice for laid-off workers,personal business.Frying machine effect is good,can fry products and sale them directly.This machine usage changes the past artificial frying pollution,labor-intensive,low efficiency,etc.This machine has constant temperature device, with lighting function,smoke evacuation and energy-saving design.And use 220V,infrared heating lamp, enhance the chestnuts display effect and temperature control function.When using machine, start machine and set up frying time and temperature,machine will roast products well. 1.This machine is made of stainless steel,with casters,mobile convenience. 2.It has circular structure, beautiful and elegant performance. 3.High-strength heat-resistant glass,perspective and strong,durable,has good presence. 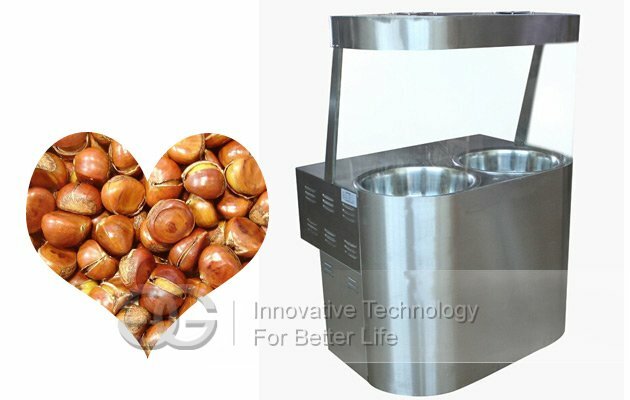 4.Large capacity basin,each can be fried 20L/cylinder,double heads 40L totally. 5.A fume exhausting fan,clean the air around,with environmental protection function. 6.Using infrared heat lamps,enhance the chestnut display effect,saving energy. 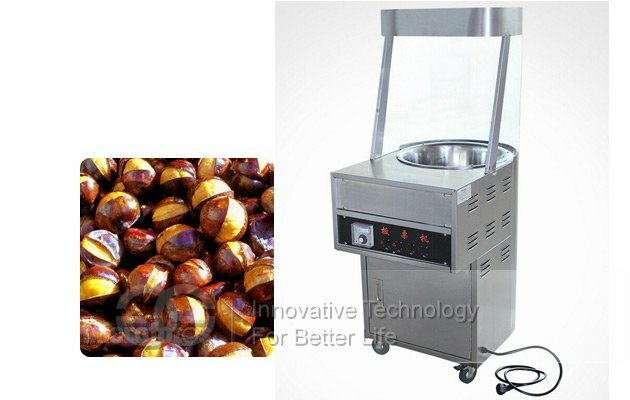 8.Automatic stir function,making frying chestnut heating uniform,frying effect better. 9.Investment cost low,suitable small business person investment. 10. 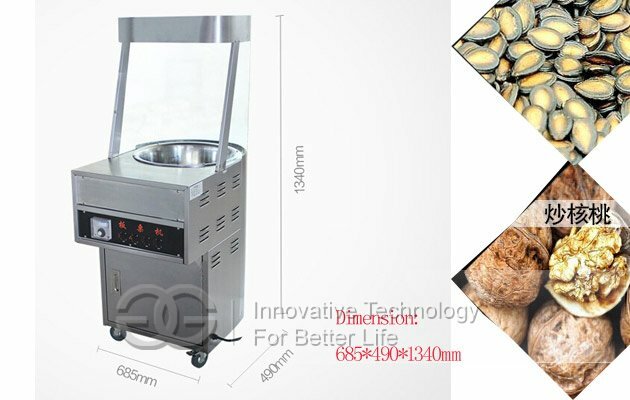 Easy to use.Only need person put into frying products, adjust working temperature, machine will automatic stir, frying. Save labor.